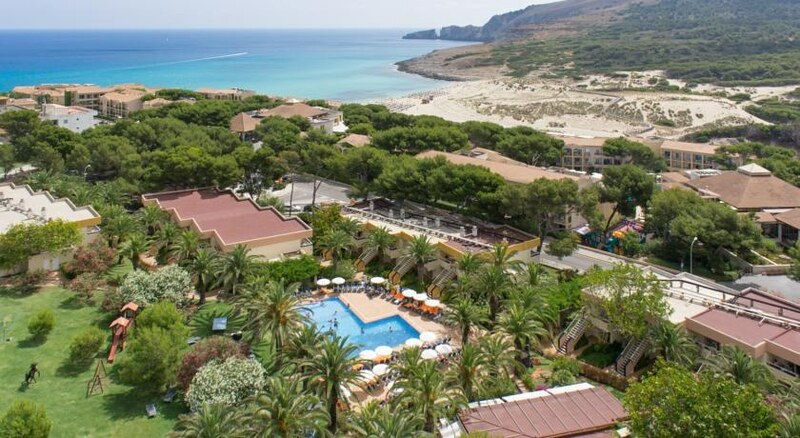 The Viva Cala Mesquida Park is located just 400 m from the marvellous beach of Cala Mesquida on the Island paradise of Mallorca. With an unbeatable range of amenities, delicious and varied cuisine, and a full programme of leisure and entertainment events for the whole family, this 4 Star retreat is a holiday paradise featuring spacious one bedroom apartments with modern amenities and surrounded by extensive gardens. Guests to the Viva Cala Mesquida Park can relax on superb beaches and explore countless tourist attractions and facilities such as shops, restaurants, pubs, and discos. 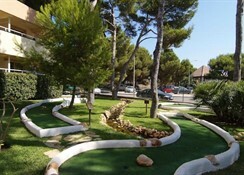 Golf Capdepera is nearby and popular with visitors to the resort. Palma de Mallorca Airport is 75 km from the hotel. Local Tips: There are the usual amenities on the beach and a variety of water sports on offer. Cala Mesquida is popular with surfers with great waves. 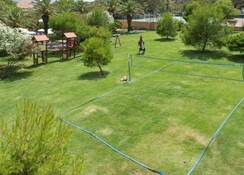 Food, drink and entertainment: Self catering apartments with options for Half Board and All Inclusive. The Half Board option also includes drinks (soft drinks, water & beer) during the included meals. 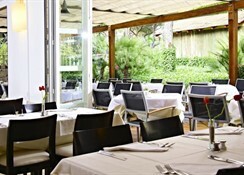 The hotel's Restaurant buffet is for all day dining with special themed evenings, El Patio Restaurant and Bar is on hand for delicious al fresco dining, and the pool bar La Palapa offers relaxing cocktails and snacks. Every night there is live music, professional shows, variety, games, dances, shows performed by the in-house entertainment team. 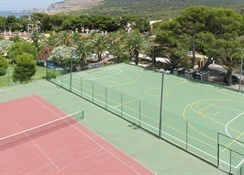 Sports, games and activities: Swimming pools for adults and children, solarium with hammocks and parasols, towel service for the pool (with deposit), vast garden area, games room, animation for adults and children, gymnasium, multi-sport court, tennis (with charge), mini-golf, volleyball, shooting area, ping-pong, Billiards (charge), SPA service with sauna, Jacuzzi, Turkish bath, heated pool (May and October), massage service (charges apply). 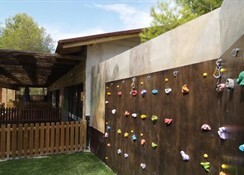 For the Kids: There is the Bufo mini club with a host of activities and services such as a swimming pool with a pirate ship, jumping castle, video games, playground, competitions, video films, dance, pony rides (charge). Additional: 24-hour reception, currency exchange, Internet corner, bicycle and car hire, free Wi-Fi Internet service at reception, conference facilities, courtesy rooms, souvenir shop, doctor on call, guests booking through Hotels4u.com enjoy a complementary welcome cocktail on arrival. 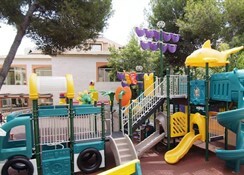 The Viva Cala Mesquida Park features 114 one-bedroom apartments with air conditioning and heating, safe, Satellite TV, music channels, kitchen, microwave, fridge, mini bar, complete bathroom, hair dryer, and terrace or balcony. The rooms are cleaned 5 days a week, the sheets are changed every 3 days and the towels are changed on request. Cots are available on a request basis and are charged locally. • Cash is not allowed in any point of sale of the hotel except at reception (and in this case, always taking into account the maximums established by law). Therefore, the client must pay the extras at the hotel either using a credit card or charging it in the room and pay at check-out at reception. • If the check-in arrives more people than the original booking, extra supplement will be charged.